About one-half of the License Appeals I file as a Michigan Driver’s License Restoration Lawyer are for people who no longer live in Michigan. I have established a rather efficient system for scheduling my out of state Clients to come and see me first, for about 3 hours, in order to begin the License Appeal process by preparing to undergo their Substance Abuse Evaluation completed, and then to go directly from my Office to a local Clinic a few blocks away in order to have it completed. This is a convenient and Guaranteed way for someone whose License has been Revoked for multiple DUI’s and who is Sober, but no longer lives in Michigan, to obtain a Clearance of the Michigan “hold” upon their Driving Record that prevents them from obtaining or renewing a License in another state. While the Michigan Secretary of State allows people who have moved out of state to file an “Appeal by mail,” called an Administrative Review, the hard facts are discouraging: only 1 out of 4 succeed. In 2010, the last year for which statistics are available, 74% of all Administrative Reviews mailed into the Michigan Secretary of State’s Driver Assessment and Appeal Division (DAAD) were Denied. On the other hand, if a person really has quit drinking, I Guarantee that I will win their case the first time around. Even if the odds for winning an “Appeal by Mail” jumped up to 50-50, once you start doing the math about the real costs of losing and having to wait another year (or longer, in cases where an Appeal is really botched) to try again, a Guaranteed win the first time around is a lot less expensive, in terms of inconvenience, real money and stress. 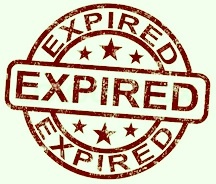 That said, a growing segment of my Clientele are people who have, or did have, at least for while, a Driver’s License issued by another state that cannot be renewed upon expiration. I have found that these Clients are least likely to take the 1 out of 4 odds of an “Appeal by mail.” They want the ability to continue driving, or, if their License has already expired, they need to be able to renew it as soon as possible. I am often told that, beyond my obvious passion for License Restorations (as evidenced by the sheer number of articles I have written on the subject), it is my first-time win Guarantee that prompts people to hire me. Whatever else, the bottom line is that if a person has put their alcohol use behind them, I can get them back on the road. Many people who ultimately do hire me have previously tried the “do-it-yourself” License Appeal route, whether they live in Michigan or not. For the most part, most of those who have tried, or will consider trying an Administrative Review, are people who have not had a valid License of any kind since Michigan issued its Revocation. In many cases, they have been without a License and have not driven for quite a while. Except for those who take their chances and drive without a License, most of these people have managed to put together some kind of “transportation network” or system so that they can get around. Sure, it’s probably not their first choice, but the point I’m making is that once anyone gets their License back, they get used to the independence a Driver’s License brings real fast. It’s only natural that once a person regains the ability to drive again, even for a while, it hurts even more to lose it a second time, when their License expires, and cannot be renewed because of a Michigan “hold.” I’m sure that in many cases, the support network of rides they once had has long faded into a memory, and the thought of becoming a professional passenger all over again is thoroughly distasteful. Yet this is exactly the fate that awaits anyone who doesn’t act quickly. Someone who has not yet regained a License, and who has an established “ride” network, while they are undoubtedly anxious to get back on the road, really has less to lose if they try an Administrative Review and get Denied. On the other hand, someone who already has a valid License in another state that is about to expire, or whose out of state License has already expired, likely feels a sense of urgency because they don’t have a transportation network all lined up, and are none too anxious to go through that hassle all over again. This is where I come in. The foremost legal requirement to win a Michigan Driver’s License Restoration or Clearance case is that the person proves, by Clear and Convincing Evidence, that his or her alcohol problem is under control and likely to remain under control. This means that a person has to prove that they’re a safe bet to not drink again. Put more directly, and more simply, a person has to prove that they are sober. Anyone who really is sober knows that this involves much more than just not having drank for a time. At its core, it involves a firm commitment to never drink again. How that commitment arises, and the techniques a person employs to make it work can take a lifetime to learn, and cannot be described easily, but anyone who is truly sober needs no such explanation. If you have to consider, even for a moment, whether you’re sober or not, then you’re probably just abstinent. Sober people know they’re sober, and what Sobriety really means. The whole point of a License Appeal is to explore a person’s transition from drinker to non-drinker. This process of going from indulging an alcohol problem to “putting the plug in the jug” and getting sober, is what I call a “first requirement” to win a License Appeal. Proving that you’re committed to never drinking again, and that you’re likely to be able to do it, is really the meat and potatoes of a Michigan Driver’s License Restoration or Clearance case. Once a person has really given up drinking, and has made the commitment to remain alcohol-free, they have the all the necessary “stuff” for me to use to win their License back. Accordingly, if a person really has gotten Sober, I can Guarantee a first-time win in their License Appeal. To anyone who needs to get a Clearance without delay, this is good news, and necessary, as well. In the real world, lots of people who had had their License Revoked, and who have not obtained a License in another state will first try a “do-it-yourself” Appeal, perhaps even several times, before they become frustrated with navigating the “million little rules” involved in obtaining a Michigan Clearance before they finally decide to take the plunge and hire me. I have pointed out in many of my previous articles that I never try and dissuade anyone from trying a License Appeal on their own. Even though the odds of a “do-it-yourself” win are dismal, I figure that it’s just better to just let a person find that out on their own, and then call me later, rather than seem like I’m trying to scare them out of trying (and into paying me). If you’re not willing to take the gamble, or you otherwise need to be certain that you win your Appeal the first time around, then call me. If you’re Sober, I can clear this whole thing up and have you back on the road in no time.